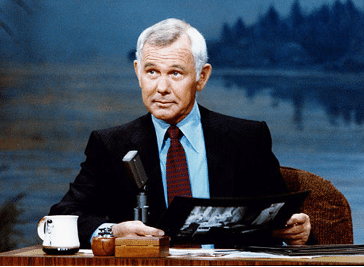 Johnny Carson used the expression, “I did not know that” and brought the house down. It was his way of stating his lack of knowledge about any surprising event. The audience was also surprised and couldn’t help but laugh. It’s no laughing matter when your staff finds out that they are out of a job because your company lost a major buyer or couldn’t solve a critical problem. But if they don’t understand the challenges, they can’t help with the solutions. If their good ideas are suppressed or the free flow of information is stopped because of politics or turf wars, the challenges your company faces can be become even greater. Your people are your greatest assets. They all come with a brain, imagination, and a desire to better themselves. They will use those resources to the benefit of your company if you let them. 1. Need-to-Grow Trumps Need-to-Know. We told our entire staff our major challenges and asked for their suggestions. Their outsider’s view in many cases provided fresh, out-of-the-box solutions. What if they didn’t know? We would have lost those insights. 2. De-Specialization. Every year we asked each employee what they would like to do within our company. We put our various job requirements on the table and they were all picked up, but not necessarily by the same folks who had them the previous year. We found that people whose job fit their skills and desires out-performed strict job specializations. 3. Performance-Based Compensation trumps position, tenure, or attendance-based compensation. Once all our people were getting bonuses on sales it became clear to them that the money came from the customer, and not the “company.” Sharing information and ideas was good for everybody’s paycheck. 4. Out-sourcing. Rather than trying to do everything in house, we would out-source for as much as possible. We paid only for the products and services that were to our specifications. Our people managed outsourced companies, which had the net effect of keeping us smaller and less restrictive. It reduced the typical company pyramids and enabled people to communicate directly with the decision-makers in our company, allowing more good ideas to reach top management. 5. Public Acknowledgement. We would “catch” someone doing something beneficial to the entire staff and, much to the chagrin of the lawyers, publicly acknowledge them in writing. We encouraged everyone to come forward with new ideas and for that they would gain appreciation. This practice also built a strong company culture since everyone understood and appreciated how other folks in the organization were improving their job security and increasing their paychecks!